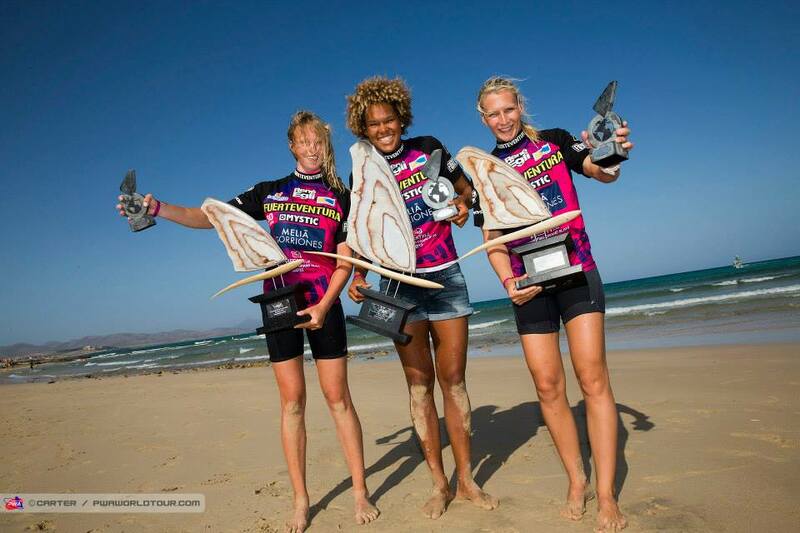 The PWA World Cup in Freestyle took place on Fuerteventura the 24th – 28th of July. As this was the only world cup in freestyle this year, it was also the world championship. It was the windiest event I have ever participated in. We sailed heats every day and managed to sail two full double eliminations and a single elimination on the last day. There were 14 girls from all over the world competing. It was a battle on the water with the super strong wind up to 40 knots and chop from all directions. After five days of competing I managed to get the 2nd place and become Vice World Champion 2015! A dream came true! Who would get the 2nd and 3rd, 4th and 5th place were still open before the last day. The day before when we sailed the 2nd double elimination, I won the heat against Maaike Huvermaan with a 2-1 decision only winning with 0,5 point. It was such a small margin that it was only luck. Last day of competition I just wanted to sail better heats, as I the day before sometimes were missing one or two moves. I was really relaxed while sailing and started off by winning the first heat against Eva Chiochetti with 51 points on the score sheet! Pretty happy about that. In the next heat I was again sailing against Maaike. I sailed a solid heat, landing all 8 moves, and won with a good margin to secure the overall 2nd place. It was a great World Cup and congrats to Sarah Offringa for first place, Maaike for 3rd place, Yoli Brendt for 4th and Arrianne Aukes for 5th place. I guess the level has never been as high as in this competition, and I’m hoping that we can come back here next year to compete again. I want to say a big thanks to Håkon for all the help during the competition, and all the support from my family and sponsors: Starboard, Severne, MUF, O’neill, Askim og Spydeberg Sparebank, Glava and Smaalenene. During the week I was watching a lot of the men’s heats. I was very impressed by Severne and Starboard rider Dieter van der Eyken who won the event sailing very smart and consistent. Congrats!!! After the competition I spent two days sailing with Sarah Offringa at different spots on the island filming for her new movie. 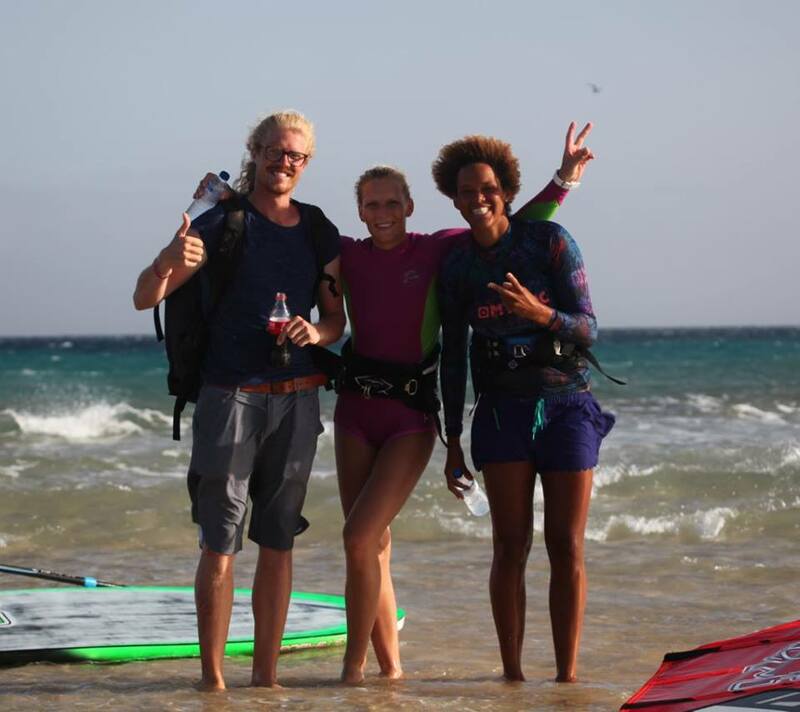 She is, together with filmer/producer Julian, making a movie about Sarah’s life as a windsurfer. 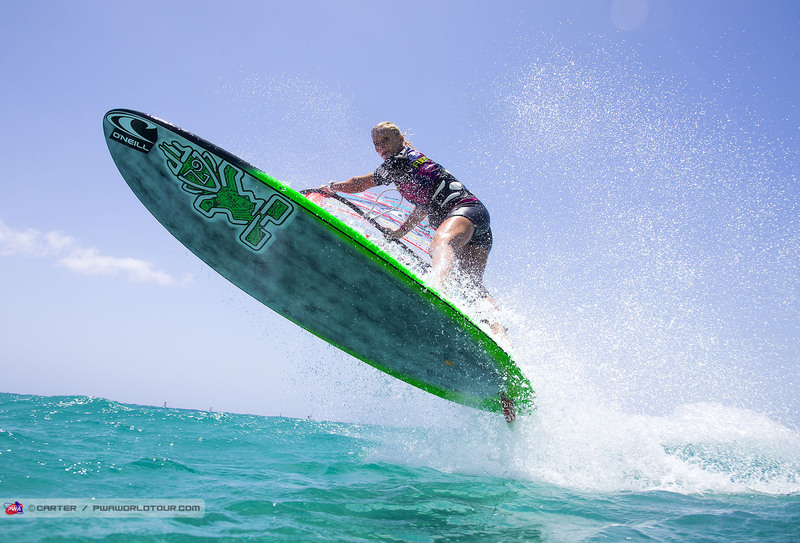 It will be the next big windsurfing movie, and the first professional video about a female windsurfer that has won the world championships 8 times in a row! I am really excited to watch it. Now I just arrived back home to Norway. 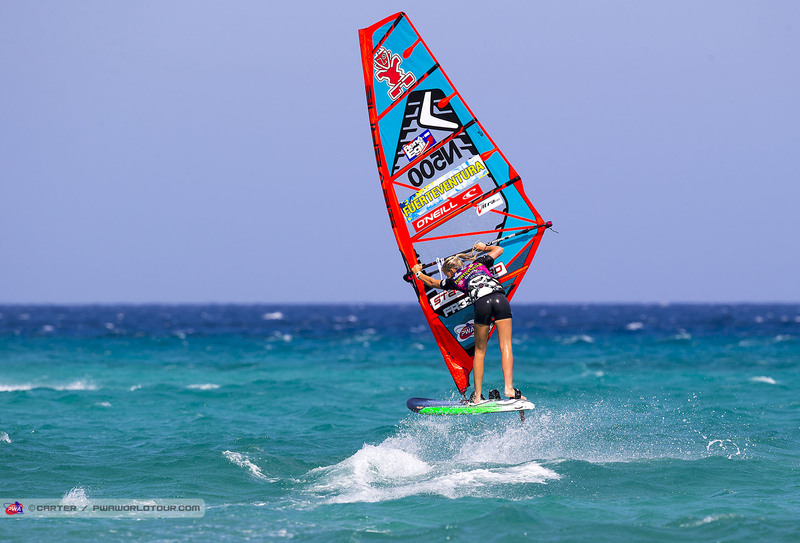 I will be home for a few days before I’m flying to Turkey, Alacati to compete in the PWA Slalom World Cup. It’s going to be very interesting, as I don’t have much experience with slalom. I’m ready to get used to my smaller slalom gear for the first time during the competition. But no matter how this goes I’m going there to learn to sail faster. The list of women competing is long with 28 girls from all over the world, and I will be joined by other freestylers like Arrianne Aukes, Maaike Huvermaan and Sarah Offringa. Let’s hope they also bring a bag of freestyle gear so we can have some fun freestyling!